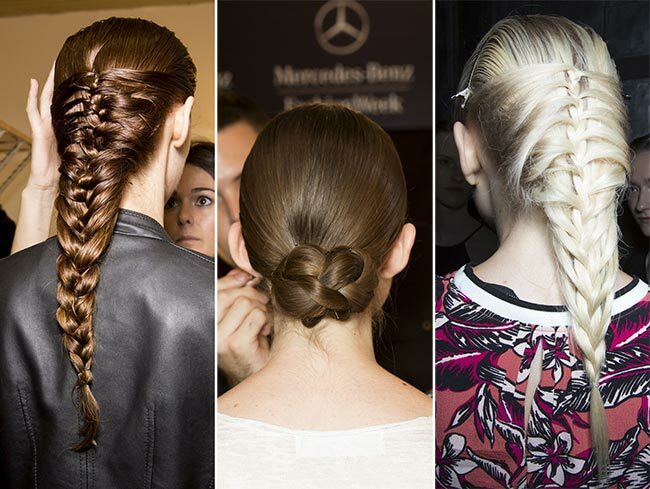 Braids hairstyles for spring 2015 include the diversity of styles we have noted at different fashion and runway shows. 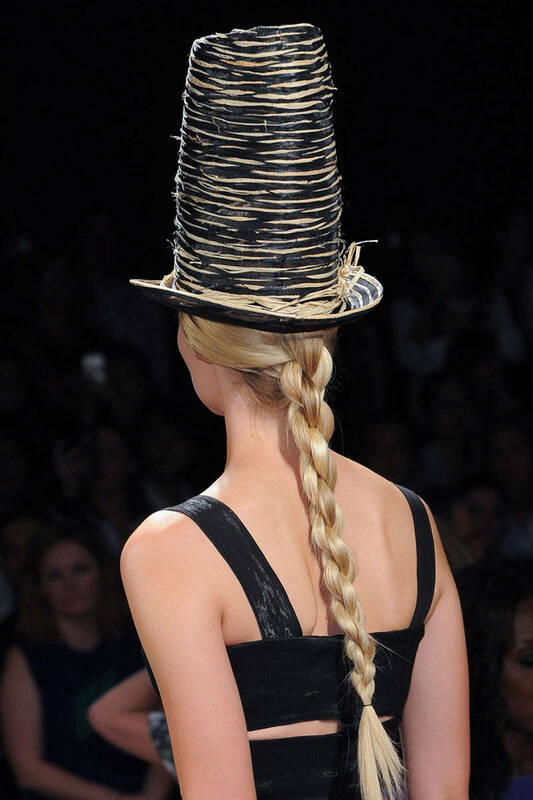 Braided styles have become popular long ago and till now they do not loose an inch of their fame. Hair stylists go on inventing newer and newer designs that at once turn to trendy hairstyles. 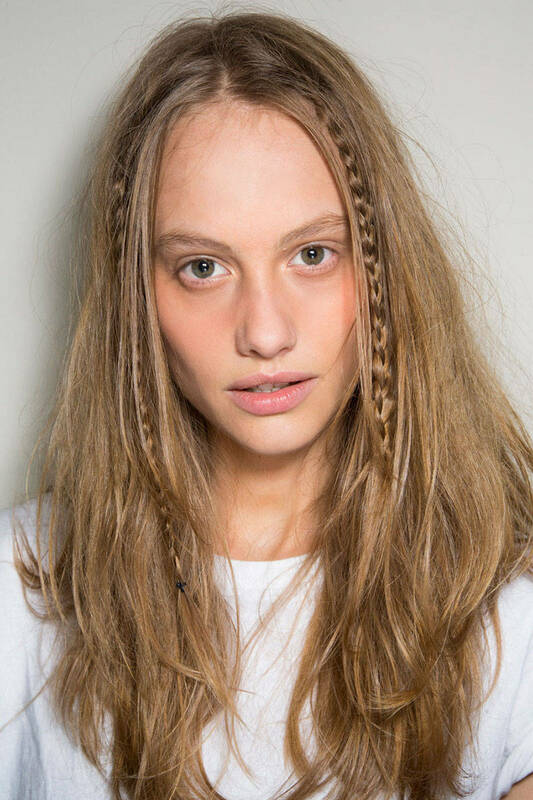 This year hair trends 2015 suggest us being natural, so among braids hairstyles we can find many casual and messy variations that make you look casual and on-trend for any event. Actually from Donna Karan exquisite braids to easy and messy plaits at Michael Kors you can find the vastest variety of braids designs. So no matter whether you are skilled or not too much or even not at all, there is a braided hairstyle for each of, just make sure to grow out long hair before SS15. Very interesting twisted braids are introduced by Donna and all the girls with long hair will love to try them I am sure. 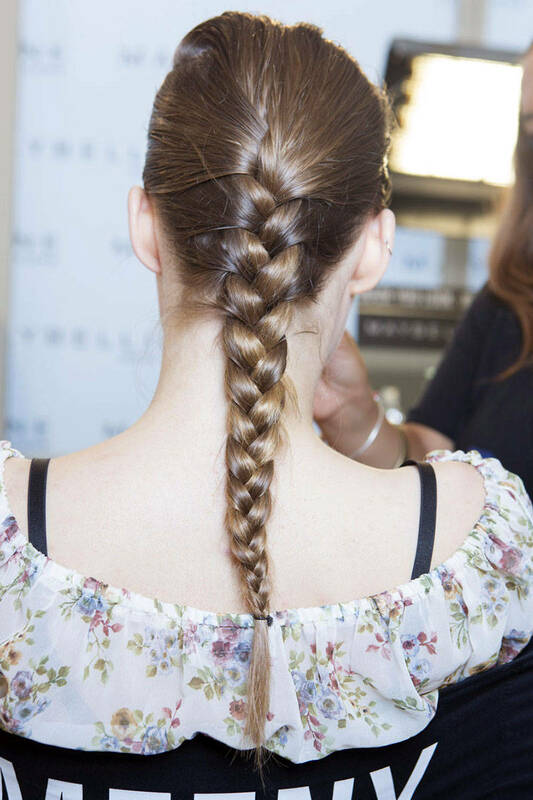 The ideal classy braid always remains in fashion, and each of us at least once has tried to style it, not so easy at first, but you can learn, just a bit of patience. The messy braids hairstyles make the majority this season die to the casual looks they create, the low braid is one of them. 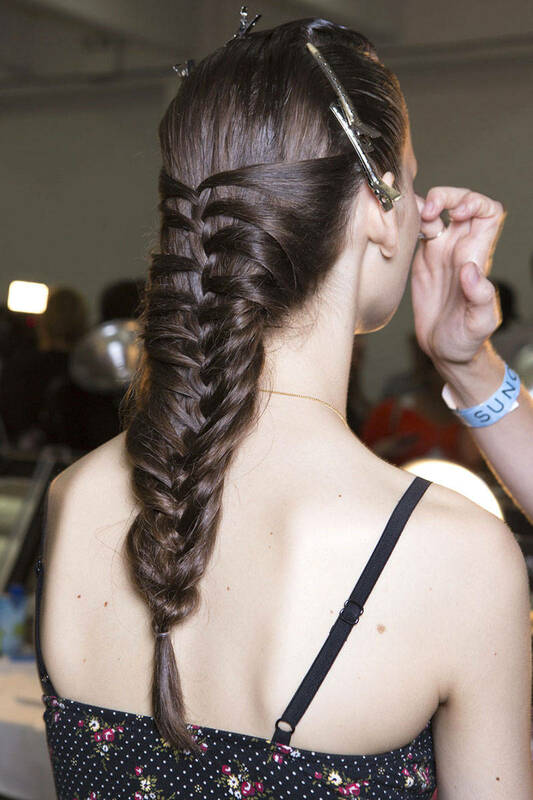 The mermaid braids come more into fashion recently with new variations. 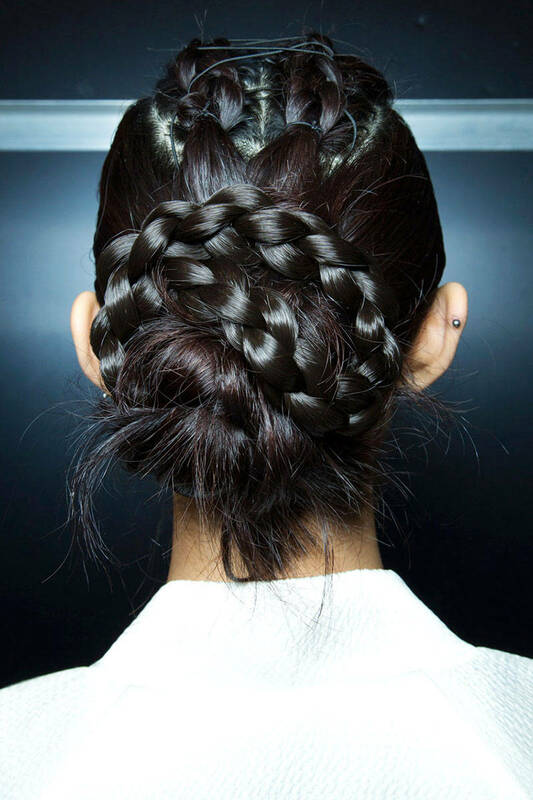 Such classy braid will be perfect both for a casual evening walk and for a cocktail party. 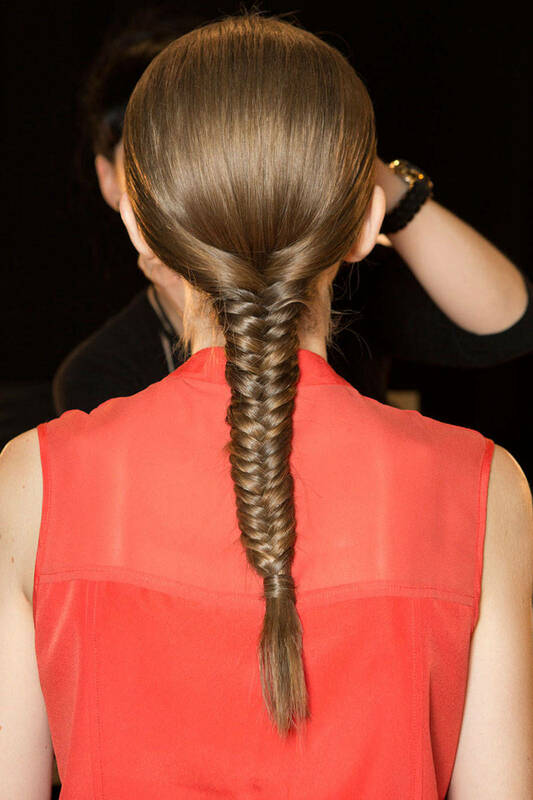 The toght fishtail on thick hair can look this cool. It is very polished and neat and the end is fixed with hair strand making it look awesome. There was time when some braided strands were popular and now we see them coming back, it can make straight hair look more effective. Side braids never stop being fashionable, and modern designs with messy effect and some strands left out makes them adorable. Braided Mohawk hairstyles are very famous among daring women, who want to show their individuality, still do not want to go too edgy by shaving side. If you have this perfect hair quality and even the smashing deep hair color, then such creative braided Mohawk ending in a braided bun is what you need. 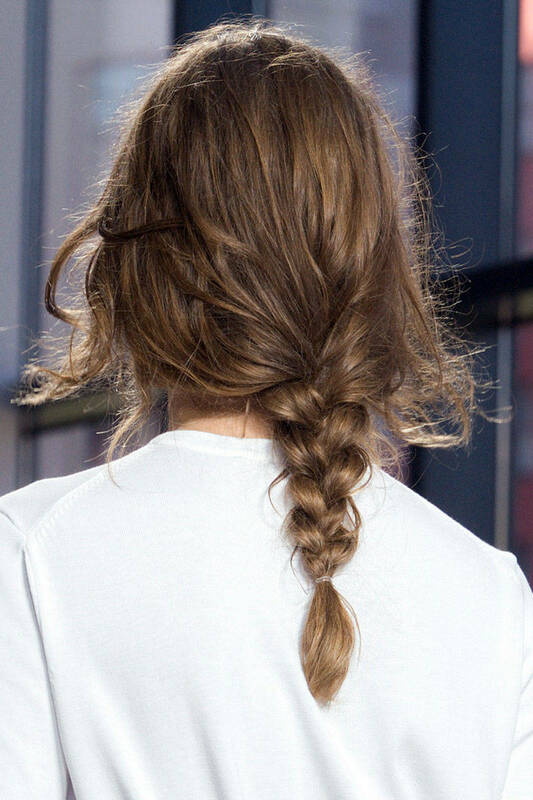 Another example of modern tendencies - center parted sleek hair ending in a classy braid, copy this image and do not forget until spring 2015.